That is a long cookie title with a lot of delicious promises. But I guarantee, these cookies deliver! In fact, I feel like I’ve been holding out on you. I’ve made these cookies 4 times in the past couple months for various events and they are unbelievably delicious. 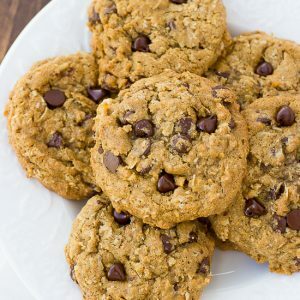 They are soft in the middle, with crispy edges, and a slight oat-y flavor. Not to mention peanut butter and chocolate. Be still my heart. Every time I’ve gotten accolades. cookie high-fives, and the infamous “I can’t believe these are gluten-free” comments. In fact, I made these cookies for a neighborhood get-together and told some friends eating them that they were gluten-free. One friend said “are you serious? !” and another neighborhood was like “no she’s joking of course.” Ha! No jokes here. Really gluten-free. And really delicious. You’ll have to taste to believe. I’ve used both regular and natural peanut butter in these with great results. 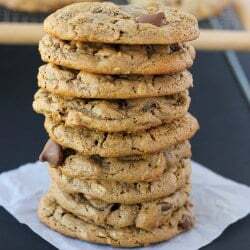 They are also amazing with milk chocolate chips if that’s your thing. Yum! 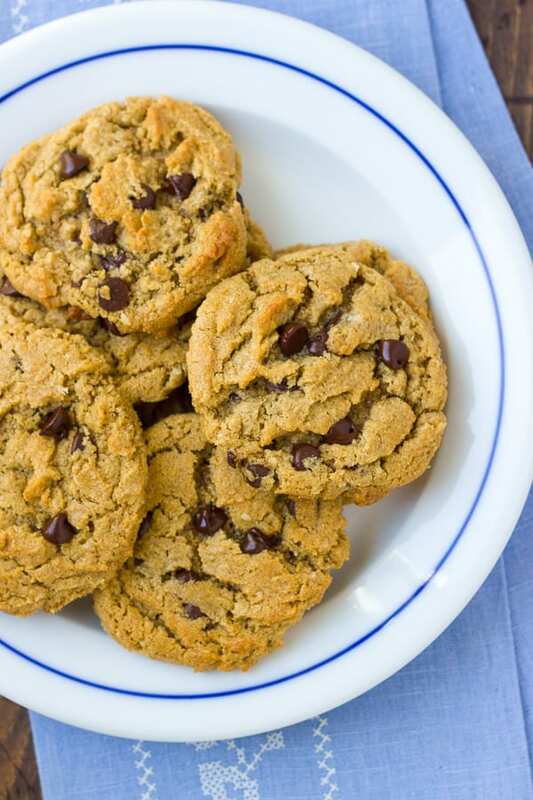 You can freeze the unbaked dough and bake the cookies straight from the freezer. Just scoop out the dough balls and freeze on a plate lined with parchment paper. Transfer the dough balls to a freezer bag after they are frozen, then take out and bake as directed whenever you want a cookie. Just add 2 minutes or so to the baking time. Preheat the oven to 350F. Line a baking sheet with parchment paper or baking silpat liner. In the bowl of a stand mixer, cream together the butter, peanut butter, brown sugar, and granulated sugar. Add the vanilla and eggs and mix until the batter is light in color, 2-3 minutes. Stir in the flour, oatmeal, baking soda and salt. When it is mostly combined but there are still dry spots, add the chocolate chips and mix until well combined. Scoop out tablespoon-sized rounds onto the baking sheet. Bake for 10-12 minutes, until set and lightly golden. Cool on a cool on the pan for 3-5 minutes before transferring to a cooling rack to cool completely. Enjoy! Yes that would work great! Oatmeal is a very wonderful food to me. I love using it for my breakfast. Your recipe sounds so delicious. I’ll try this. Thank you for sharing. Just tried this recipe, is SCRUMPTIOUS!!!! I cut it in half, because I only wanted a snack. Then cut an additional 1/3 off the sugar (watching our sugar intake). So for the half recipe, we used a TOTAL of 2/3 cup of sugar (1/3 cup of each). My 9 year old is enjoying these so much! Thanks for a wonderful recipe! I’m happy to hear you liked them! That is great to know they work well reducing the sugar. I’ll have to try that myself! 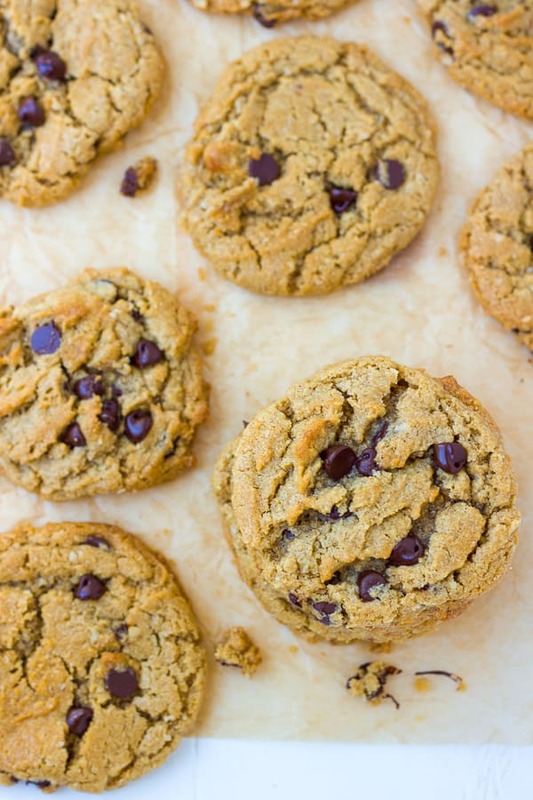 Have you ever tried these with dairy free butter? I might try this recipe for a friend but she can’t have dairy. 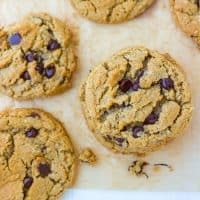 I think these would work really well with dairy-free butter! 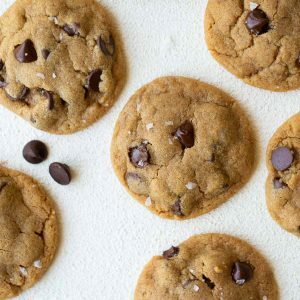 I love adding organic unsweetened coconut to cookies, it worked great with this recipe! I only added 1/2 cup to the whole batch but could have increased it to at least 3/4 cup. Great! I’m so glad they worked out for you. 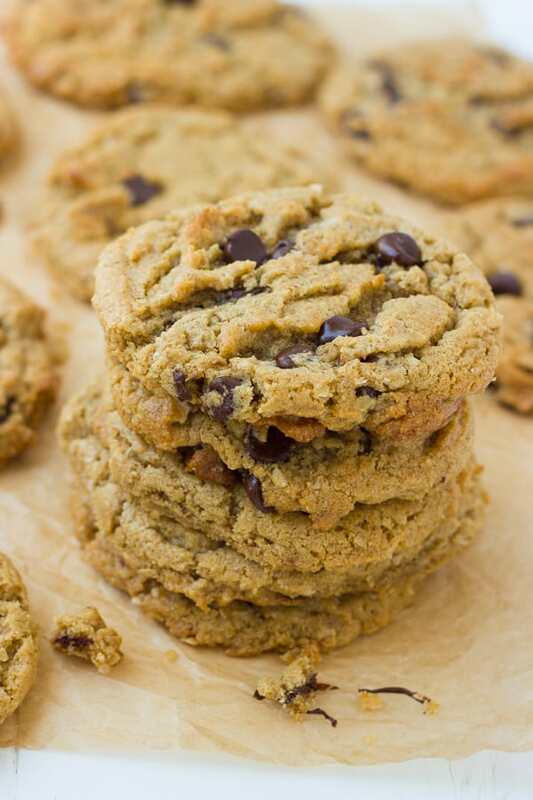 You can use Earth Balance Buttery Sticks in these cookies! They work great!